Rachel Smith and Madeleine Tench by day, Tinkerbell and Tiana by night. 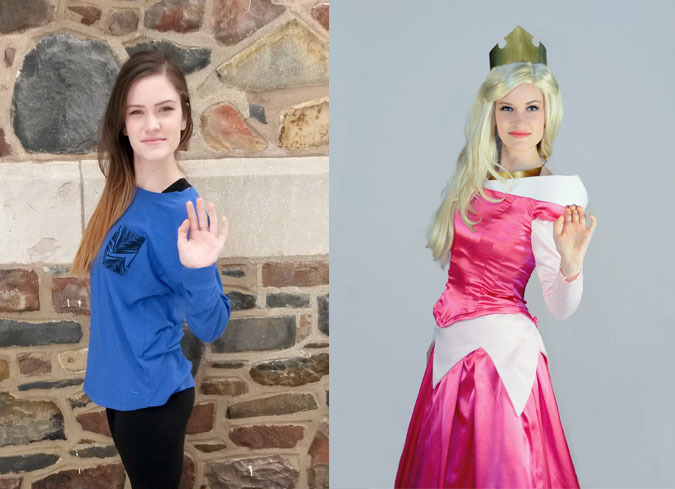 These two Dalhousie theatre students/triple threats moonlight for Fairytale Friends: Children’s Entertainment Canada, as Disney princesses at birthday parties and special events. Smith plays Aurora (from Sleeping Beauty) and Tinkerbell. 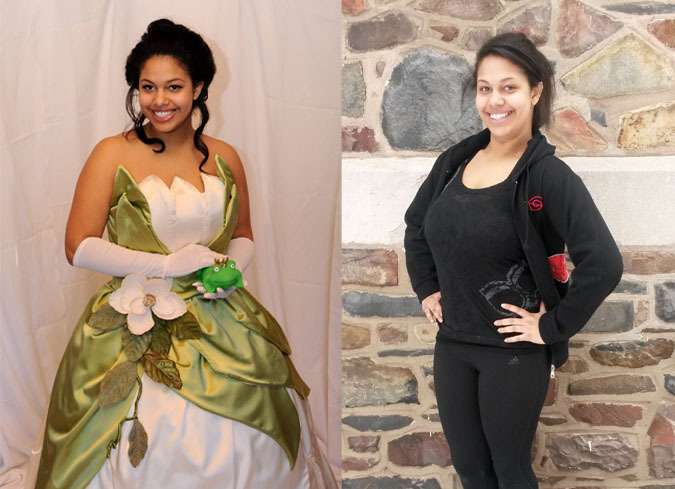 Tench has three ‘go-to’ characters — Tiana, from the Princess and the Frog, and Iridessa, one of Tinkerbell’s fairy friends. Smith also came up with her own character, Sally the Pirate, who sometimes accompanies Tinkerbell. Just out of dance class at Dal, the pair are still in leggings. But with Smith’s pixie-like features and Tench’s animated tone, the pair are like a couple of plainclothes princesses. Here is what they say being a princess is all about. “Confidence is a big thing,” Tench chimes in. “It’s always good to be fun. Elsa (from Frozen) is a bit more reserved, but most of us princesses love to play games and things like that. In the movies, every Disney princess has her prince. But more often than not, these princesses leave their men at home. She says the core staff of Fairytale Friends is all female, but occasionally, upon request, they scrounge up a couple of Prince Charmings. Tench and Smith both think the Princess Tea held in partnership with the Children’s Wish Foundation is one of their favourite events to go to as princesses. Most of the time when Tench and Smith put on their princess faces, it’s for a birthday party. They go to a lot of birthday parties. “Like, a lot,” Smith said. Her next party is in two weeks’ time. “Usually it’s more frequent than that but Madeleine and I are both in a play over at school.” They say that Saturday is the most popular day for birthday parties and for all-day play rehearsals. Even princesses have scheduling conflicts. But they say Fairytale Friends can make do without Tinkerbell and Tiana until their play is over. “It’s the winter of Anna and Elsa,” Tench says. “Oh 100 per cent,” Smith added.